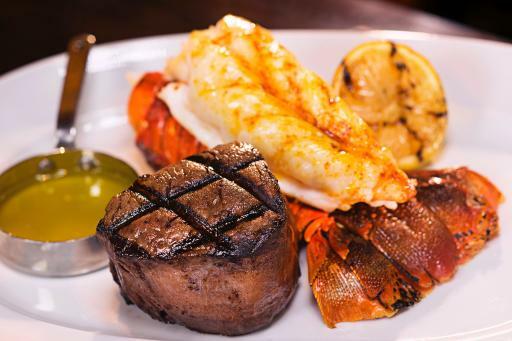 -- Open Daily for Social Hour 4 p.m. -- 6 p.m.; Dinner starts at 5 p.m.
LAS VEGAS, Feb. 8, 2016 /PRNewswire/ -- Alder & Birch Cocktails and Dining – a classically modern take on the American steakhouse – has made its debut at Las Vegas' The Orleans Hotel & Casino. "With Alder & Birch, we are refreshing and enhancing the foodie culture that is such an important part of the Boyd Gaming guest experience," said Mark LaVoie, Vice President of Food and Beverage for Boyd Gaming. "Complementing the carefully crafted menu and beautiful design is a truly talented team, dedicated to providing the exceptional and memorable level of service our customers expect from us. We are excited and proud to introduce Alder & Birch – a distinctive dining concept that further enhances The Orleans' unique brand of hospitality." Evoking a stately grove of its namesake trees, the restaurant entrance and wrap-around façade are composed of a series of rich, wood-paneled vertical fins. Visually anchoring the cocktail lounge and main dining room is a magnificent, stone-clad, two-sided fireplace. The front of Alder & Birch evokes a socially minded lounge setting. 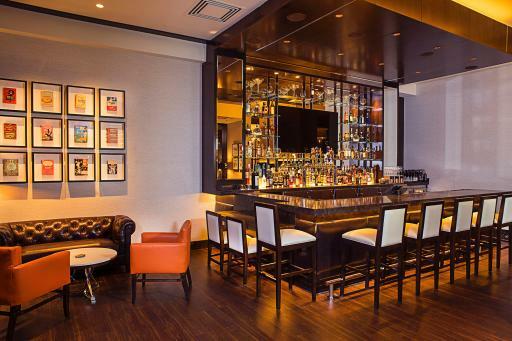 Along the bar wall hangs a curated collection of framed, antique cookbooks, some dating back more than 80 years. Polished wooden shutters are juxtaposed with more casual, blackened industrial sash window panels, further adding to the rich visual textures of the interior. The side walls of the main dining room are lined with semi-private, glass-screened booths, each featuring its own chandelier. Two private dining rooms are also available to host larger parties. Linger before your meal in the welcoming lounge, and whet your appetite with a selection of specially-designed, hand-crafted signature cocktails, including the Winter Sangria, a divine mix of Santa Christina Chianti and hand-crafted cherry sherry, accented by sour apple and lemon; or the Alder and Birch Maple Manhattan, a perfect blend of Knob Creek Smoked Maple Bourbon, maple syrup, sweet vermouth and bitters, playfully garnished with a candied bacon strip. Enjoy a selection of craft beers on tap, or choose from a carefully-chosen selection of more than 100 fine wines from around the globe. For the first course, try the watermelon salad topped with goat cheese, or the savory three-onion soup, featuring a hint of all-natural apple cider and an abundance of cave-aged Mifroma Gruyere cheese. For a robust second course, try the double-cut Kurobuta pork chop -- widely considered to be the highest-quality pork in the world – pan-seared with a touch of sea salt and herbs, and presented with caramelized Granny Smith apples, deglazed with a touch of all-natural apple cider. For a truly classic steakhouse experience, indulge yourself with a select cut of 21-day dry-aged Prime beef, including the house signature Wagyu coulette sirloin – a cut prized for its exceptional flavor and tenderness. And of course, no ABCD meal would be complete without dessert, including the decadent banana rum cake (topped with Hard Birch Rum sauce) and our signature crème brulee, accompanied by house-made raspberry champagne sorbet. 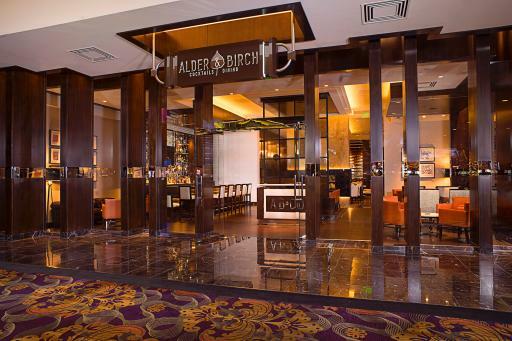 Alder & Birch is the first of five new dining concepts scheduled to debut at The Orleans in 2016, as part of Boyd Gaming's ongoing, $30 million enhancement of the popular Las Vegas resort. Alder & Birch follows the debuts of other new concepts at Boyd Gaming properties across the Las Vegas Valley, including the California Noodle House at California Hotel and Casino; The Filament bar at Fremont Hotel and Casino; and Brigg's Oyster Co. at Suncoast Hotel and Casino. New concepts set to debut in the coming weeks include Ondori Asian Kitchen at The Orleans, and Rosewater Grill and Tavern at Delta Downs Racetrack Casino Hotel in Vinton, La. For more information on this and other Boyd Gaming launches nationwide, visit BoydGaming.com/Amenities. Headquartered in Las Vegas, Boyd Gaming Corporation (NYSE: BYD) is a leading diversified owner and operator of 22 gaming entertainment properties located in Nevada, Illinois, Indiana, Iowa, Kansas, Louisiana, Mississippi and New Jersey. Additional news and information on Boyd Gaming can be found at www.boydgaming.com.